What Types of Cases are Handled by an Orlando Personal Injury Attorney? People get seriously injured or even die as a result of many different types of accidents. Most people go to the Payer Law Group for injuries that they suffered in auto accidents. If you or somebody close to you has been injured in any type of an accident in or around Orlando, you should speak with an attorney from our offices. 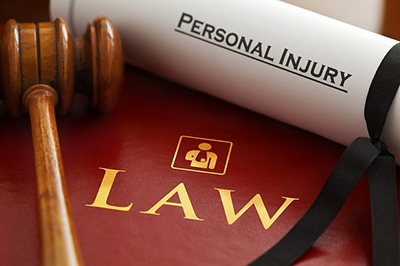 Aside from auto accidents, here are some other types of personal injury cases that we handle. These are probably the second most common type of claims that we represent injured clients in. Premises liability involves injury claims against owners and occupiers of land. Typical premises liability claims involve slip and falls and trip and fall in both businesses and homes. Premises liability can also extend to injuries suffered on amusement park rides or negligent security in hotels, casinos or night clubs. Construction work is one of the most dangerous jobs in the country. When a construction worker is injured at work, he or she is probably under the impression that workers’ compensation is the sole and exclusive remedy, but there are many construction accidents that can involve alternative and more complete compensation. Talk to an Orlando personal injury attorney at our law firm if you’ve been seriously injured in any kind of construction accident. In and around a large metropolitan area like Orlando, pedestrians and bicyclists are seriously injured by motor vehicles just about every day. Even if the motorist was uninsured or a hit-and-run driver, you might still have a valid personal injury claim. A consultation with the Payer Law group doesn’t cost you a dime. If you were hit and injured by a motor vehicle, arrange to talk with an Orlando personal injury attorney from our office. You may have a valid and compensable personal injury claim. These crashes can involve airplanes, trains, buses, taxis or courtesy vans. They can be caused by human error, faulty equipment, mechanical failures or even terrorism. If you were injured or somebody close to you was killed in a public transportation crash, contact us right away. Motorcyclists are completely exposed to serious injuries or being killed in a crash. Unlike the driver of a car, there’s nothing surrounding them to protect them, and there isn’t government mandated safety equipment like airbags or seat belts. Motorcycles present low profiles in traffic. Many drivers just don’t see motorcycles, or they see them after it’s too late. Don’t hesitate to contact us if you were seriously injured, or a family member died as the result of a motorcycle crash. A tractor-trailer can be over 60 feet long and weigh up to 80,000 pounds. They can take 50 percent more distance to stop than a passenger vehicle on a wet roadway. Nearly all serious injuries and deaths in large truck crashes involve the drivers or occupants of passenger vehicles. Preserve and protect your rights. Evidence can get lost or destroyed, and witnesses can disappear. Never give an opposing insurance adjuster a written or recorded statement involving any accident of any kind. It will only be used against you in the future. Contact an Orlando personal injury attorney at the Payer Law Group right away after any accident. Who Is At Fault? I Need A Car Accident Lawyer In OrlandoMy Claim Was Denied. Can Payer Law Group Help Me Get Workers Compensation?